I'll begin this week's roundup with this little splash of green. Happy St. Patrick's Day!! 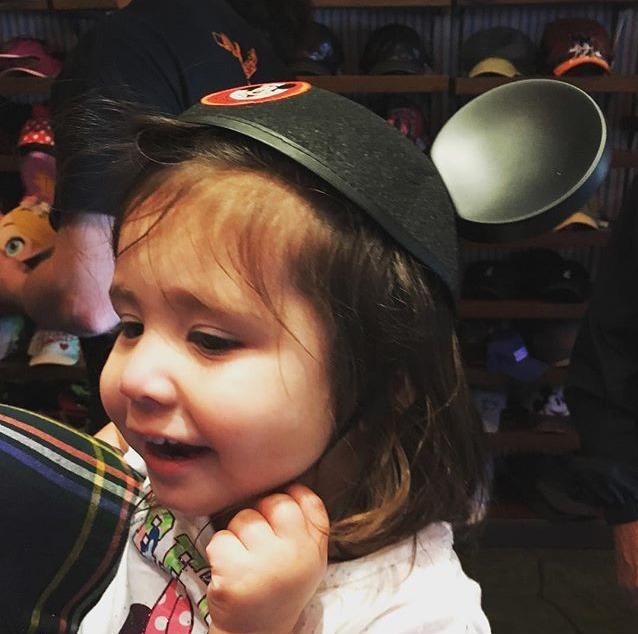 Our family spent last weekend in Disneyland and California Adventure, celebrating that Ella is a permanent part of the family. Even though it rained for a couple of hours on Friday when we were in Disneyland, it did nothing to dampen our spirits. We saw Mickey nearly as soon as we walked into the park. Ella was a little apprehensive. However, Gabe asked every character if they remembered him from the last time he was there. Of course, they each nodded yes. It was heart melting to hear him exclaim, "They remembered me!!!" We have gotten mouse ears for all the others, so it was a treat to get Ella's first mouse ears. Mark and I stayed long enough for the electric parade. Disney knows how to do parades, that's for sure. Saturday was spent in California Adventure and the weather was beautiful. Such a wonderful celebration. Ella will probably only remember this time from pictures, but we will never forget. Yesterday I had the unexpected pleasure of spending nearly two hours with this very special friend, Jessie Nickodemus. I don't see her nearly often enough. During this week there were two family occurrences of doppelganger--that phenomenon when you find someone who looks just like you. So there is a special conference at our church this weekend, City Summit, which will focus on God's work in the community and how to be involved. The man on the left, Bob Lupton, is speaking, and our minister noted that he looks like Mark's twin brother. This one is beyond cute. As our son Aaron said on Instagram: brown hair, check; brown eyes, check; pigtails, check; pink shirt, check; 2 years old, check. 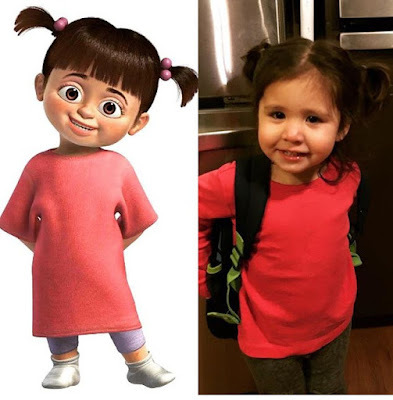 It's official -- Ella's doppelganger is Boo from Monsters Inc. I can't resist adding this one last splash of green. I hope you come back on Monday for something extra special. 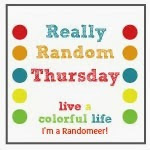 We will be taking a break from The Name Game because I'll be taking over 52 Quilters for the week! 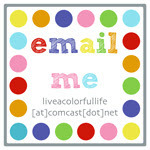 I'm so excited, so I'd love to know if there is something special you'd like to know during my week. Do tell. What a special time making Ella a permanent part of her new loving family! I'm so happy for all of you! Sorry meant to type Ella! And Ella's adorable round cheeks! Looks like The Happiest Place On Earth treated you well! 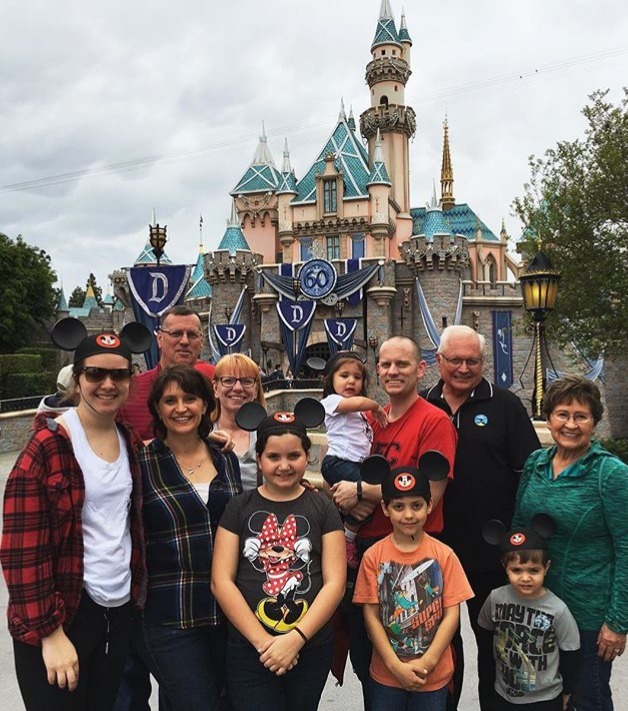 I can't begin to tell you how envious I am of your family time at Disneyland. What a wonderful experience to share with Ella! I'm full of happiness FOR all of you about her permanency in your family. Guess I'm feeling lonesome for my own grandies too. Haven't seem any of them since Christmas. Your green picture is lovely. Makes me want to claim some Irish, just to wear that color! I don't think German American have any color heritage like that! :-) Hope your week on IG isn't a bust. I'm boycotting due to changes, and if they go through, will leave permanently. How nice that you could all go together. One of my fondest memories of DisneyWorld was how our kids thought the characters were real. So sweet. Disneyland is special any time, but yours was extra-special I'm sure! Lots of wonderful memories made and photos to prove it! Love all those greens! You MUST make a quilt from those kerchief girls fabric! I never even seen it in real life, let alone owned any! What a fun experience at Disneyland. We traveled West in 1998 with the girls. I said Disneyland was the most wonerful place on earth (for me) and I could stay forever. Hope Ella remembers lots of it. Second time this week I have seen Dopplegangers...never heard it before.